Helen Martin is a HCPC registered Advanced Practitioner Physiotherapist with 13 years of postgraduate clinical experience and extensive knowledge in the field of plastic surgery working as a Senior Physiotherapist at the Mersey Regional Burns and Plastic Surgery Unit for the past 9 years. She has presented at professional meetings and co-authored academic publications in her areas of specialist interest. Helen has a wide range of expertise including assessment and treatment of those requiring facial rehabilitation as a result of conditions affecting the facial nerve and facial muscles such as Bell’s Palsy, after trauma or as a consequence of cancer. 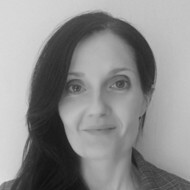 Helen is committed to the on-going development of her professional knowledge through postgraduate courses, regular attendance at national and international conferences and membership of professional bodies including Facial Therapy Specialists UK, Sir Charles Bell Society and the British Association of Plastic, Reconstructive and Aesthetic Surgeons.